Here are three easy to visit markets that every visitor to Sydney should put on their itinerary. The Sydney Markets. The Sydney Markets have a huge array of fresh produce and turns over around $3 billion every year. There are 1500 traders operating within the market and there are 5000 people employed at any one time. Stretching over an area of some 42 ha, you are bound to find something to attract your attention. There are special events at various times of the year such as the Cherry auction and the Mango auction which raise money for charity when the first fruits of the season arrive. Special events are also arranged for children so don’t forget to encourage the kids to get involved. There are two locations, Flemington and Haymarket, but be sure to check trading times to avoid disappointment, then get into your rental car and head on out! Paddy’s Markets. 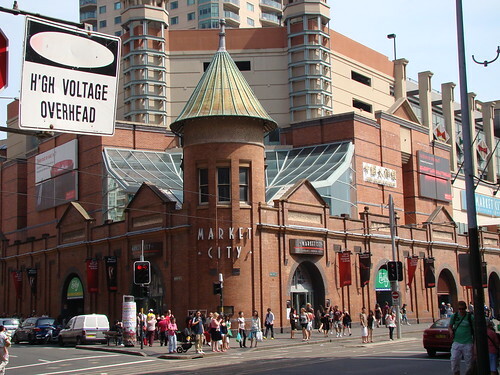 This was Australia’s original market selling products like fruit and vegetables, clothing, knickknacks and other assorted items including jewellery and home wares. Tourists will also find a huge array of souvenirs, especially those with an Australiana theme. Entry to the markets is free but it’s always wise to find out opening times on the day you plan to visit. You can also check the Internet and go on a virtual tour before you visit so you can get a feel for the place and plan your day accordingly. Paddington Markets. Paddington markets are open every Saturday from 10 am irrespective of the weather. This market is famous throughout Australia for the fantastic array of Australian made goods, many by local artisans. Many well-established designers got their start at these markets so don’t be surprised if you pick up a bargain, even a future masterpiece! There are also plenty of food stalls where you can enjoy an Aussie barbecue or even a Himalayan meal. In winter, the home-made soup is extremely popular not to mention the sponge roll in the hall. Don’t miss them. It’s easy to incorporate a visit to any of these markets when you are planning a trip to Sydney, and you’ll certainly find it worth the time. If you plan to stay at one of the Sydney hotels located in the CBD, each of these three markets is within easy driving distance and there is ample parking available.